We recently put Sam Fane (Seen Through Glass) in a brand new 2017 Cadillac ATS-V sedan, and he was certainly a fan. Interior looks and amenities. The ATS-V’s interior, including its very sporty Recaro seats, is covered in Alcantara, enhancing the car’s premium-sport feel. Further, helpful technology abounds that adds to both the luxury and sport sides of the car. 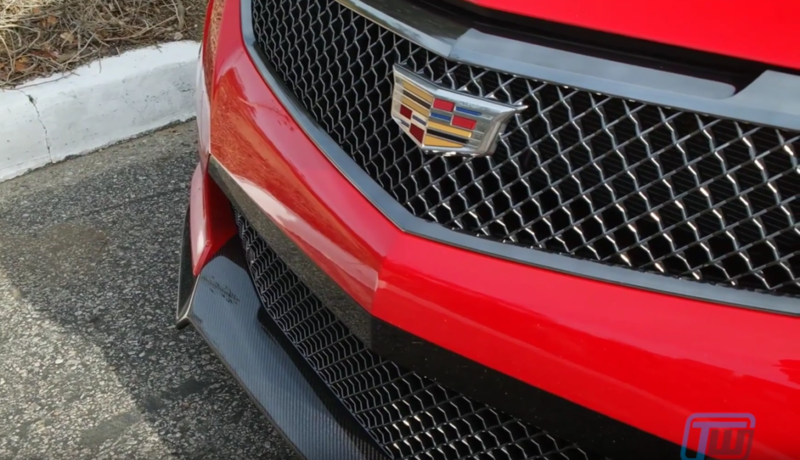 There’s a heads-up display that shows speed, navigation instructions and lights that tell you when to shift; there’s a performance data recorder that lets drivers track and share their track-day performance. 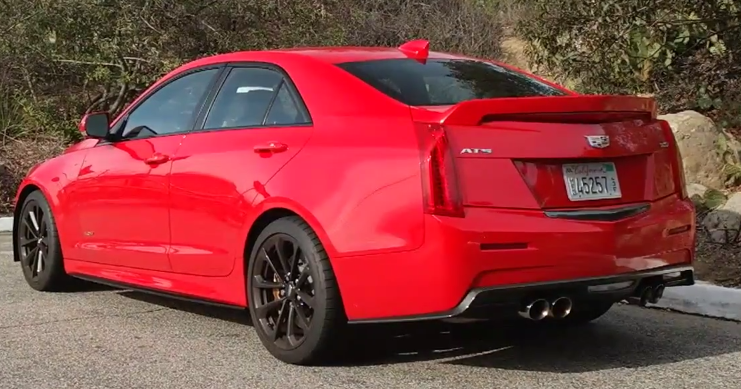 And let’s not forget that, when in sport mode, the ATS-V amplifies the engine’s roar through the speakers. Although some purists might find this unnatural and fabricated, we like it. Driving a manual transmission if you live in or around a city with lots of traffic can get old fast. Luckily, an 8-speed automatic is available. Front-engine, rear-wheel drive, 6-speed manual with active rev-matching (as reviewed); 8-speed automatic available. 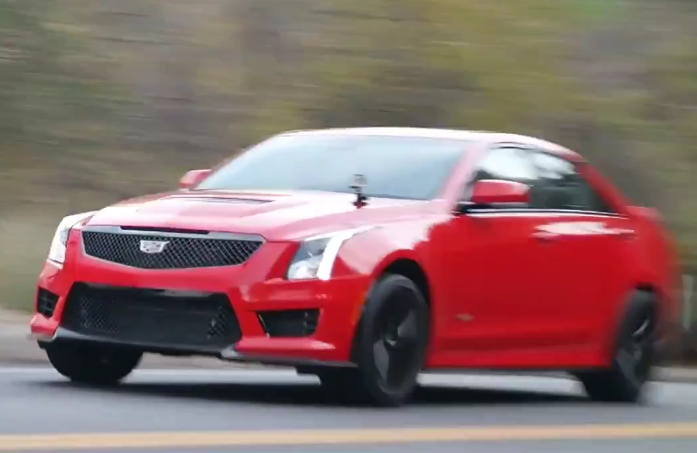 The Cadillac ATS-V gets a huge thumbs up as a performance car. 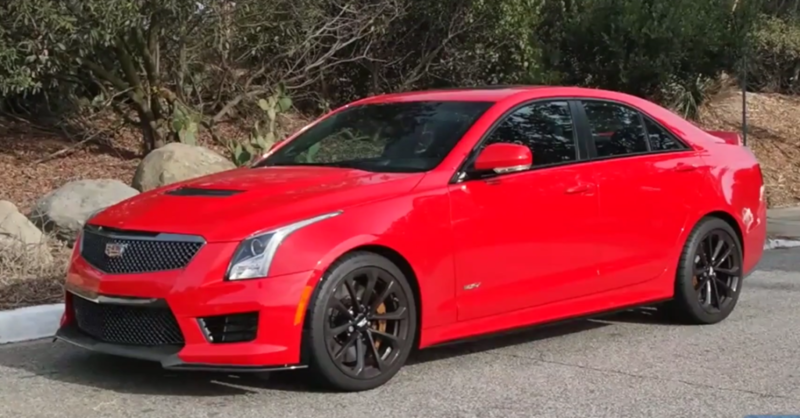 It is certainly more nimble and fun to drive than its bigger brother, the CTS-V, which, although faster in a straight line, would probably not handle nearly as well through a track or cornering on curvy roads. And for about CAD 68,000 / USD 61,000, it’s tremendous value.